Budget coaching option. 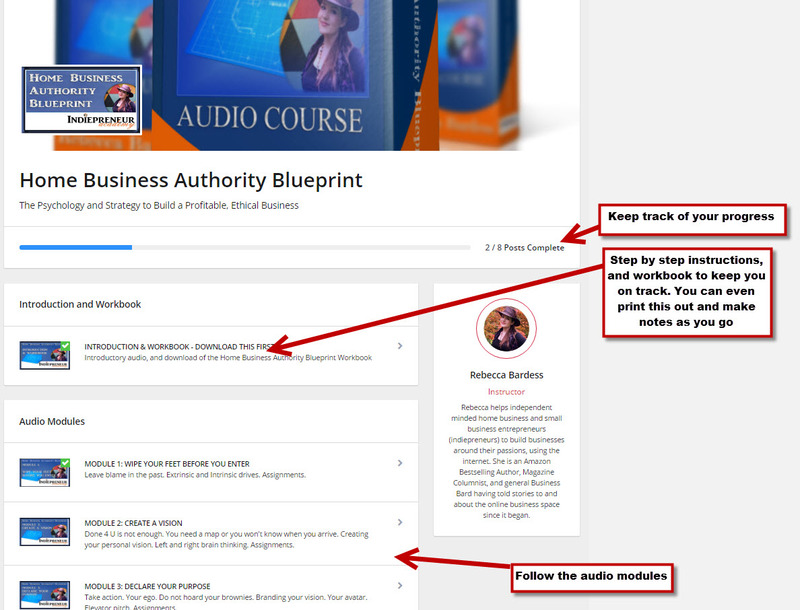 Includes internationally aclaimed audio course, and group coaching. All for less than Rebecca charges for an hour of one to one coaching. 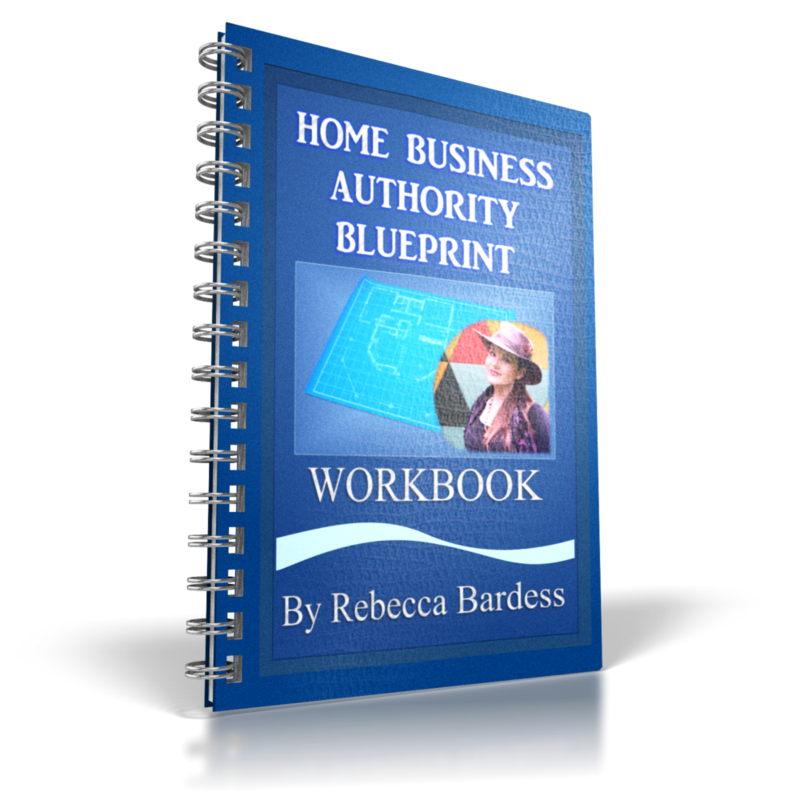 How to build a business from home on your own terms. How to be creative and entrepreneurial without selling out. Learn to overcome mindset blocks, and benefit from failures. Learn the secret psychology of selling. Discover the ninja strategies to charming your ideal client. Delivered the moment you pay. Network or affiliate marketer? 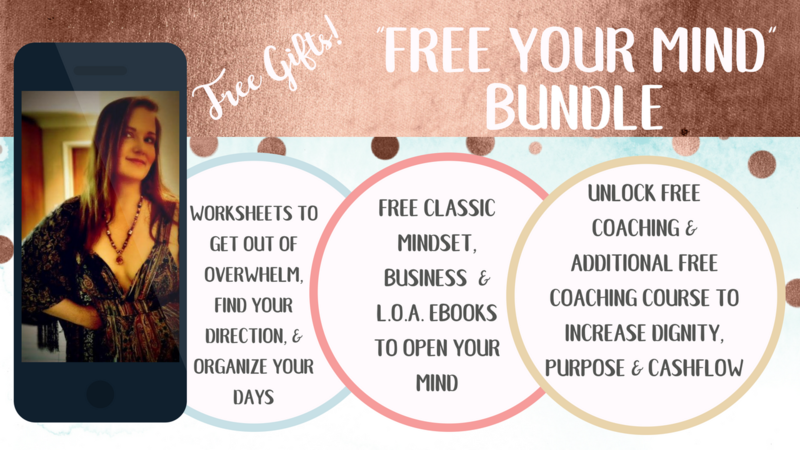 Imagine if everyone on your team had this course, teaching them how to build their teams, and your empire. Why imagine it? Buy it for your rising stars. Use it as an incentive. Or just make it required education. Your time is valuable. Outsource some of your upline work and get back your time freedom. 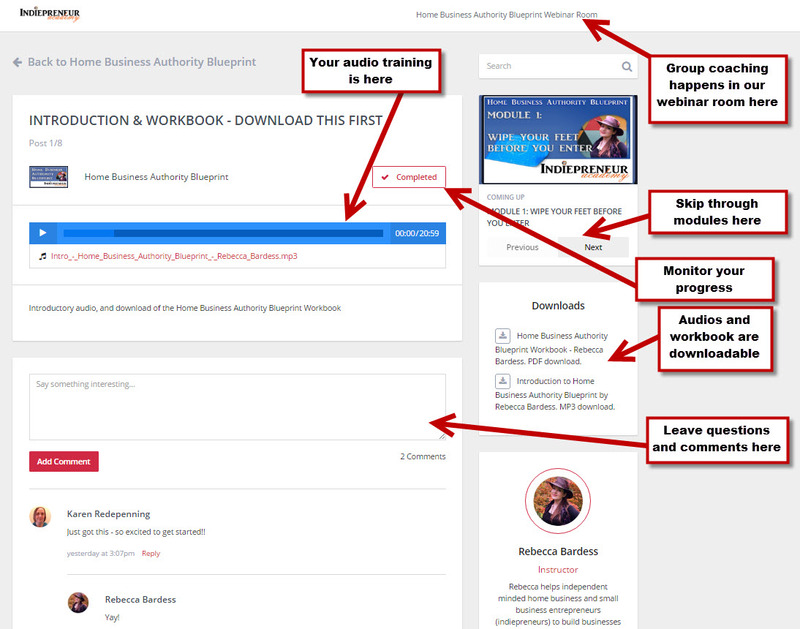 Mind changing audios to get you on track with your business. Mentorship training from top coach. 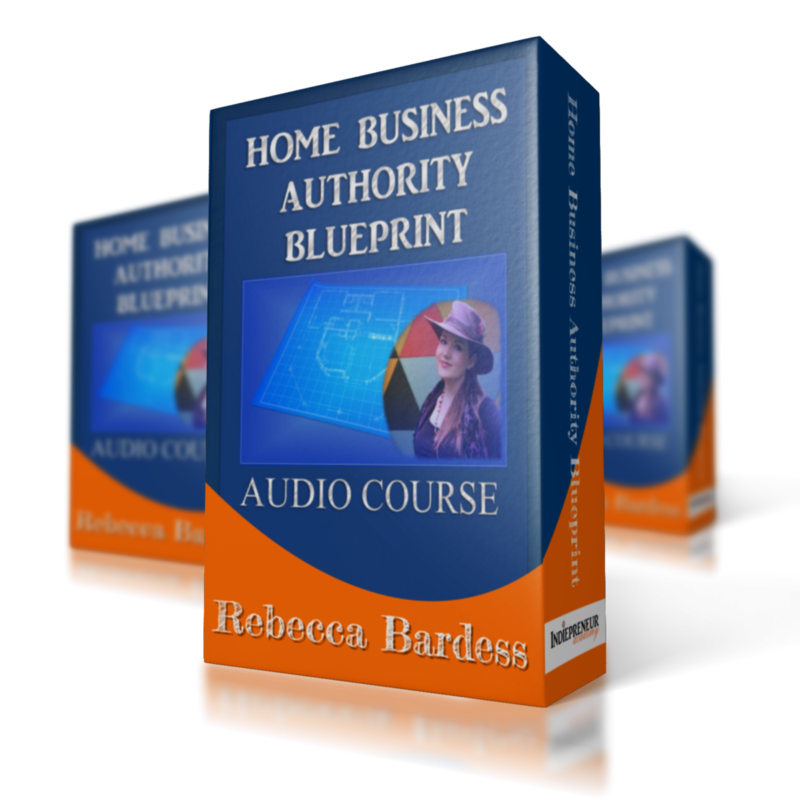 "Soup to nuts" training for home business owners focused on becoming authorities in their niche.